Recipient of the Grand Prix of the Academie Francaise, Wind, Sand and Stars is unsurprassed in capturing the grandeur, danger, and isolation of flight. Its exciting account of air adventure – through the treacherous passes of the Pyrenees, above the Sahara, along the snowy ramparts of the Andes – combined with lyrical prose and the soaring spirit of a philosopher, make this book one of the most popular works ever written about flying. The steadily growing stream of birth and marriage announcements on my Facebook feed has led me to rethink these “steps” that most people take each passing year. I used to think (and still sometimes do when I’m feeling unsure or cynical) that this seemingly prewritten way of living, of societal norms pushing us forward, was depressing evidence for a lack of creativity. But lately I see these steps not as predetermined chains on a pair of manacles we never knew we were wearing, but as a climb up a mountain or a neverending game of “I dare you.” I dare you to try more, to do something different, to remember or to learn how best to live. In English this humanist adventure tale is titled Wind, Sand, and Stars, evocative but lacking. 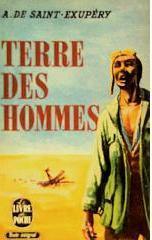 The French title, Terre des hommes, or Land of Men, is better. There is no wind, there is no sand, there are no stars, if we are not there to observe them, or even more, to appreciate them. Life is a battle to stay awake. And according to Saint-Exupéry, it doesn’t have to be much of a battle if we just look around every once and a while. Whether we’re flying across the Andes in a snowstorm straining to find the light of a house and human soul below or whether we simply open our eyes while walking down the street, we can win the battle. Being awake will no longer mean adhering to a game of “I dare you,” a set of steps leading to more, more, more to stop us from getting bored. Everyday can have a first, every person can be awake, if we remember every single moment that we’re alive on this sphere in the universe. 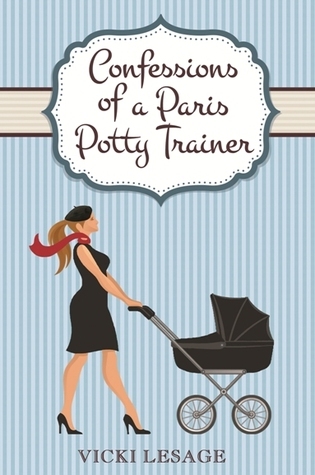 Blurb: Oh, how the French love love! For hundreds of years, they have championed themselves as guides to the art de l’amour through their literature, paintings, songs, and cinema. A French man or woman without amorous desire is considered defective, like someone missing the sense of smell or taste. Now revered scholar Marilyn Yalom intimately examines the tenets of this culture’s enduring gospel of romance. 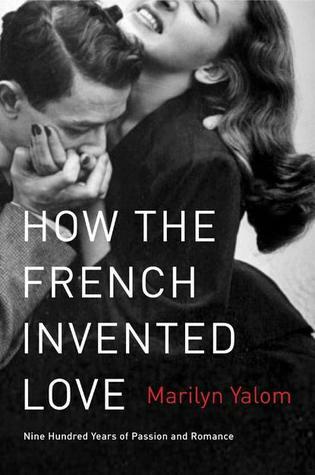 Review: So I was led astray by the title of this book How the French Invented Love–doesn’t that suggest a sociological explanation of the significance of love in French culture? Now of course, love is important in every culture. But to my romantic American Francophile mind, the French seem to have cornered the market on love. Stereotype or not, it seems to me that the French, both throughout history and today, are much more devoted to the pleasures of love. I was expecting a sociological exploration of this belief. I wanted to learn: why do we associate the French so strongly with love? is the French emphasis on love fact or fiction? how do the French treat love differently from other cultures? Unfortunately, this book somewhat broaches these questions but not sociologically. Rather, Yalom, who writes both congenially and informatively, takes us on a sweeping adventure through French love literature. She begins with the tragic story of Abelard and Heloise, whom she names the “patron saints” of French love. From there we discuss Chrétien de Troyes’ Arthurian romances and his focus on courtly love before moving to the invention of gallantry during the reign of Sun King Louis XIV. Then we investigate the Romantics’ fixation/fascination on love as the absolute purpose of life and finally we explore the more modern cynicism toward love as found in Proust and Flaubert’s Madame Bovary. Yalom does not limit herself to heterosexual love either–lesbian and gay relationships are well-covered. What I found most interesting about this chronological expedition through French literature was the oscillation between periods of romantic attitudes toward love followed by periods of jaded attitudes toward love. A lot of French love literature is motivated by backlash toward these ideals. 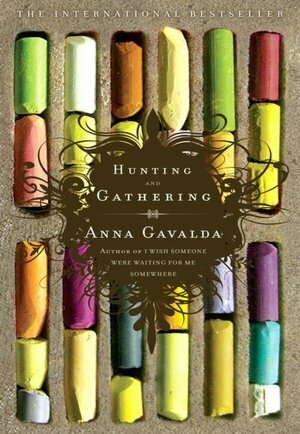 While this book left me with a long list of French love stories to seek out, I didn’t get the answer to my most pressing questions: do the French actually love differently? and if they do, why? This omission was somewhat assuaged by Yalom’s inclusion of several personal anecdotes on French love. She tells charming real life stories of French lovers that are so utterly French in character that I can’t help but believe that l’amour à la française is not merely imagined but truly exists. So obviously that list suggests that you probably shouldn’t pick this book up if you’re not looking to add even MORE books to your already towering to-be-read pile. The Francophile in me, however, can’t wait. Blurb: Every day, Mathilde takes the Metro to her job at a large multinational, where she has felt miserable and isolated ever since getting on the wrong side of her bullying boss. Every day, Thibault, a paramedic, drives where his dispatcher directs him, fighting traffic to attend to disasters. For many of the people he rushes to treat, he represents the only human connection in their day. Mathilde and Thibault are just two figures being pushed and shoved in a lonesome, crowded city. But what might happen if these two souls, traveling their separate paths, could meet? Review: This is life in the 21st century: Wake up and hear the noises of the city around you. Heave your body into a train car, squeezing every last inch of yourself into a vacancy. Physically contact several people during your commute; feel utterly alone. Sit at your desk and consider your work. Encounter numerous people throughout the day; connect with none of them. Push your body into the train again; stand mere centimeters from several other human beings. Return home, exhausted by your solitude, miserable from your loneliness. This is life today. Mathilde and Thibault are professionals in Paris, a city many consider to be the most magical and beautiful in the world, but they both ache from the city’s harshness. In beautiful yet disjointed passages, de Vigan describes the day of both Mathilde and Thibault. Unsatisfied with their jobs, they wander, alone, throughout the city. Reading about loneliness is both comforting yet boring. It’s reassuring to realize people have suffered from the same feelings as you, but overall, ennui isn’t terribly interesting. That’s why Underground Time wasn’t a spectacular read for me. Nevertheless, it moves quickly and the emotions it evokes are worth more than the less than exciting plot. This is a very French novel. Things are depicted as they are rather than how we wish them to be. It’s also a very 21st century novel. Gone are novels detailing epic fights or webs of intrigue; nowadays we have these languorous, psychological works, a trend I could come to support if I can learn to spell languorous and psychology can be made more interesting. 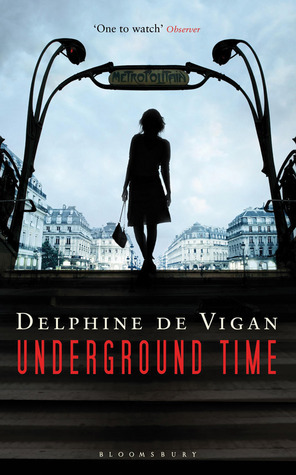 The best part of reading this novel is determining what, if anything, de Vigan blames for Mathilde and Thibault’s smothering solitude. Personally, I think we are at fault. We can blame the city, urban life, and business culture. We can say the city divides people, separates them until they have no one to turn to. But there are several instances throughout the novel where Thibault or Mathilde could have struck up a relationship or merely a conversation with someone else. But they don’t. The city is absolute. Discussing urban solitude and business malaise is popular right now. I recently watched Medianeras, an Argentinian film concerned with the same questions as Underground Time. I have the same criticisms of the film as I do the book: meaningful but ultimately flat because of the uninteresting subject matter.